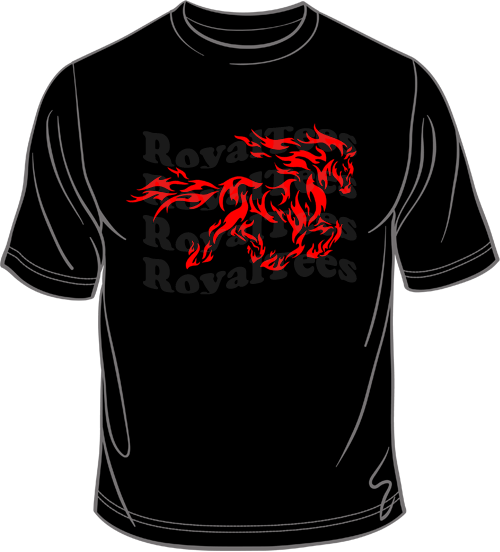 Red flame horse on a black shirt. Also available in colors other than black. Thank you. We will review your request and contact you as soon as possible. If you continue to receive this message, please e-mail us.